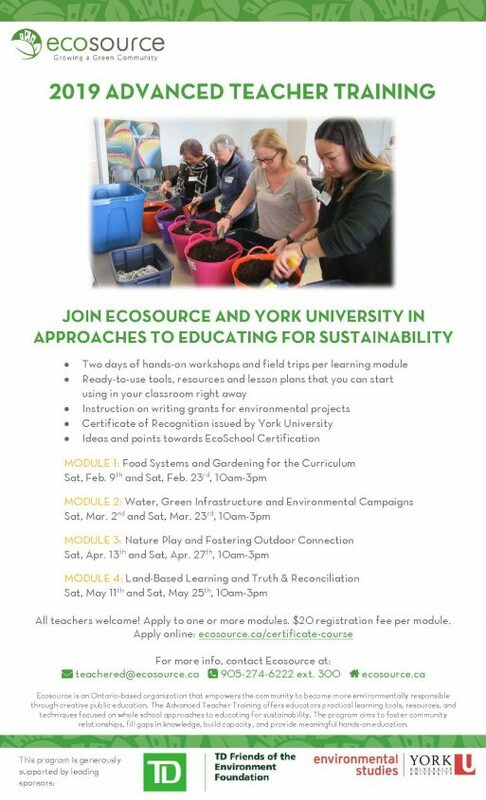 Thanks to support from TD Friends of the Environment Foundation, Ecosource and York University are partnering for the ninth year to bring you a newly updated Advanced Teacher Training Program! With new modules developed for 2019, we are excited to provide hands-on learning and professional development to selected educators interested in the latest tools and strategies for environmental education. Spaces are limited, so don’t miss the chance to participate in this fantastic opportunity! 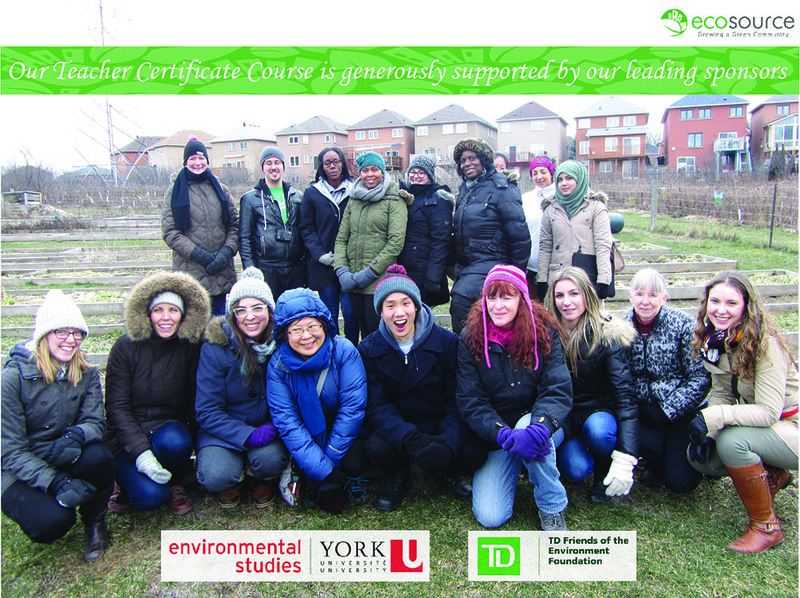 For any inquiries about the modules, please email teachered@ecosource.ca. Please note that the Advanced Teacher Training modules are intended for teachers. If you are not an in-service or pre-service teacher, please contact us at 905-274-6222 ext. 300 or email teachered@ecosource.ca before completing your registration. We thank TD Friends of the Environment Foundation for funding these educational opportunities for teachers in Ontario. Thank you to York University, our strategic partner, for collaboratively delivering this program.